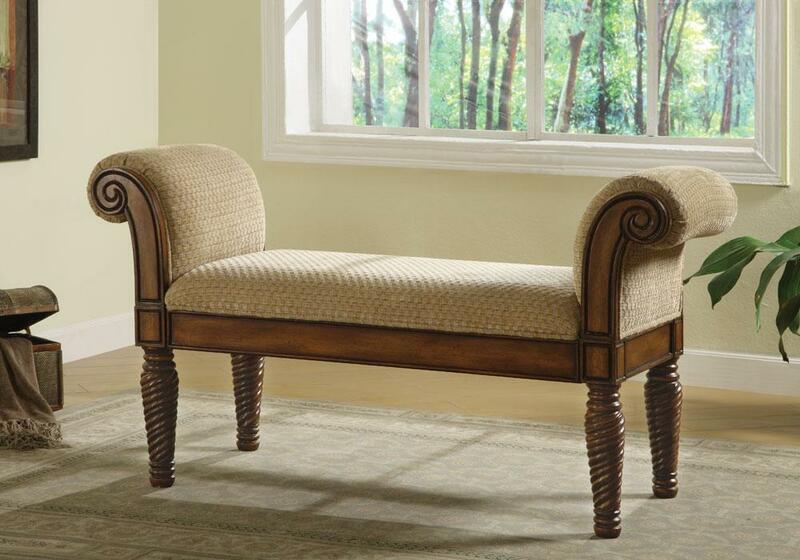 Traditional and classy in style, this Tristan Accent Bench features beautifully detailed wood base accented turned post legs and curved armrests with detailed carvings. 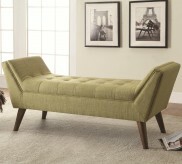 A cushioned seat is upholstered in a neutral fabric that continues on the rolled arms for plush comfort. 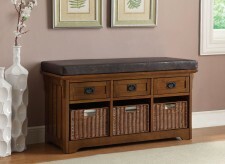 Use this upholstered bench with arms anywhere you need additional seating and a hint of traditional style. 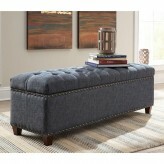 Perfect for making a statement in your entryway, hallway, bedroom or living room. 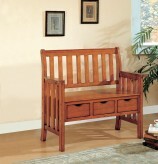 Furniture Nation is proud to offer the Tristan Accent Bench online. 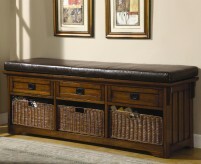 We serve customers across the DFW region including Southlake, Dallas, Lewisville and many more. 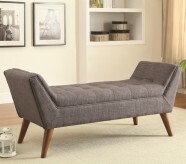 L48" x D28.25" x H26.5"